The No Surf boys will help you with your own Do it yourself projects. We’ll give you some step by step lessons on restoration, building and finishing. This is a new idea at NSF – On certain Fridays of the month we will give you a live look into the studio…. You can ask us any of your D.I.Y questions in regards to your wood projects, ideas and see what we are working on live! It will be a great way to interact with “THE NSF” and see what where up to…. 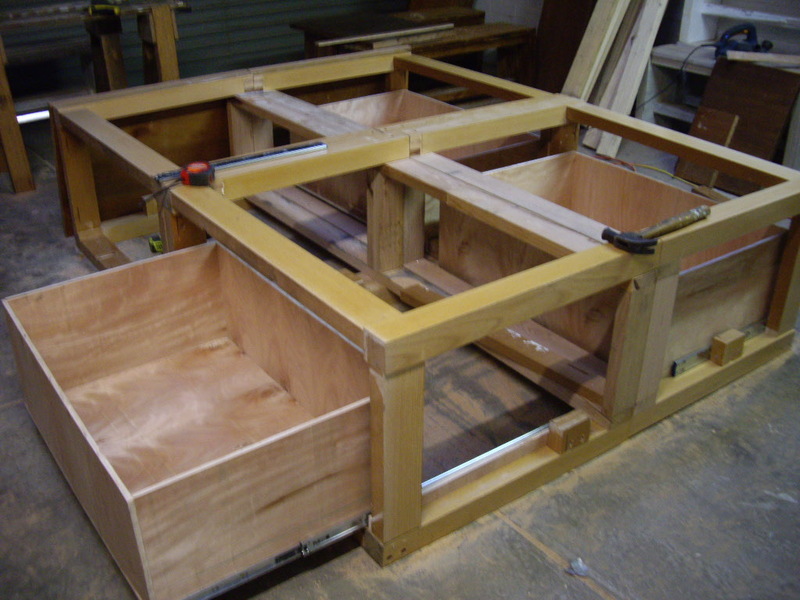 This project is being done for a client and friend of mine using four old university tables that where going to the bin. 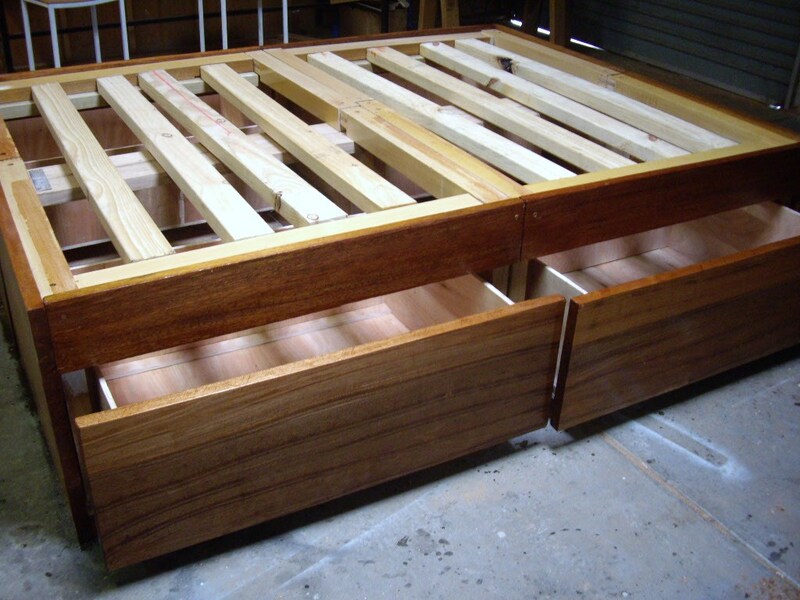 My client wanted to get a queen size bed built and came to me. I had the idea about making the project totally sustainable and be able to use the tables and turn them into the frame, outside and storage draws underneath. See how it’s going and ask your questions at 1:00 pm. 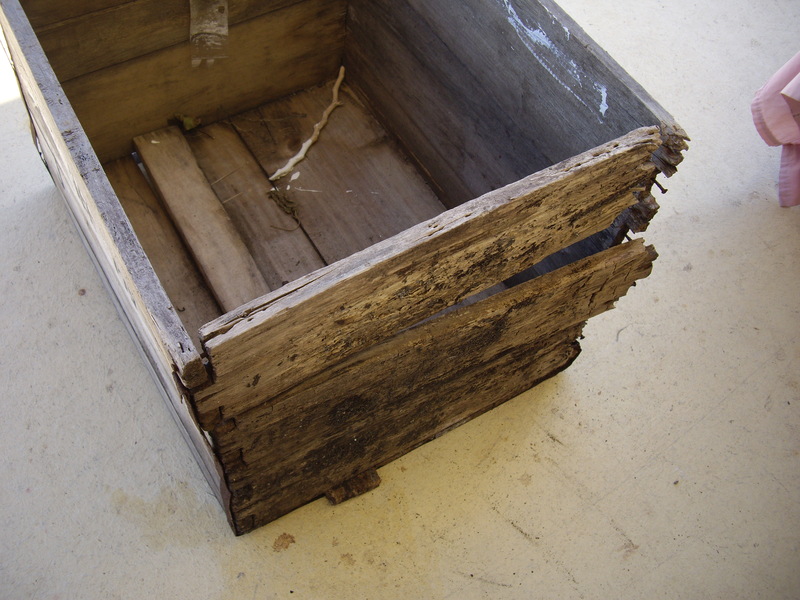 So I had this old crate sitting in my backyard since I have been living at my place so lets say 2.5 years. I’m not sure how long it was there before but knowing the way the guys was who lived there before it could have been forever. Lets just say they weren’t very active on cleaning up. So what’s so great about an old create? You’ll see. 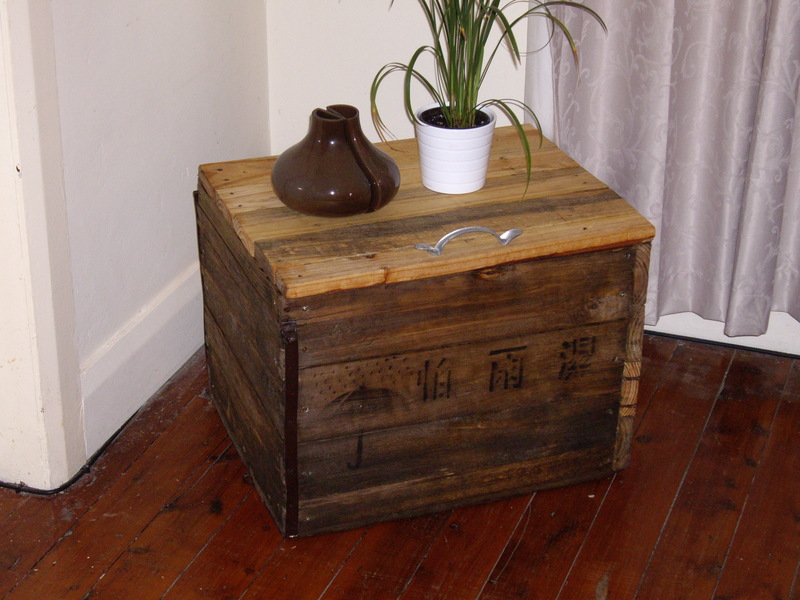 The really cool thing about this crate was the Japanese or Chinese writing it had on the side of it. I was always curios about where it may have come from…Maybe and old cargo ship? Did it have umbrellas in it? Or maybe it meant stay out of the rain? I imagined it was from world war II when the Japanese apparently had submarines along the Bondi Coastline. We’ll that’s my story and I’m sticking to it. I thought making it into a chest for my tools or magazines pillows whatever would be cool. It was in bad shape though. It was completely rotten out of one end and had all sorts of creepy crawlies living it it. The first step was to get rid of the rotten pieces. That was easy enough. Just knocked them right out with a hammer. The next step was to let it dry out in the sun for a few days and then spray some bug killer to get out the unwanted inhabitants. Check. 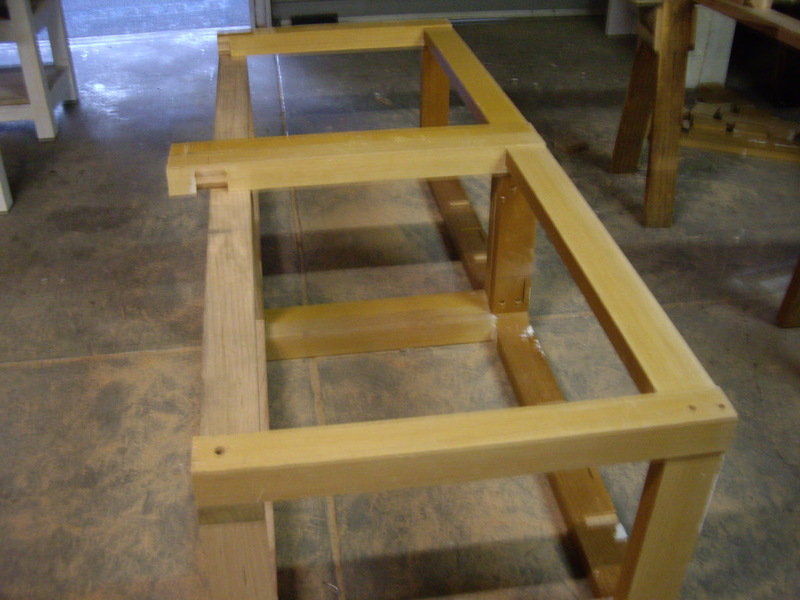 The next step was to actually build out a frame while keeping the rest of the old crate wood in tack. 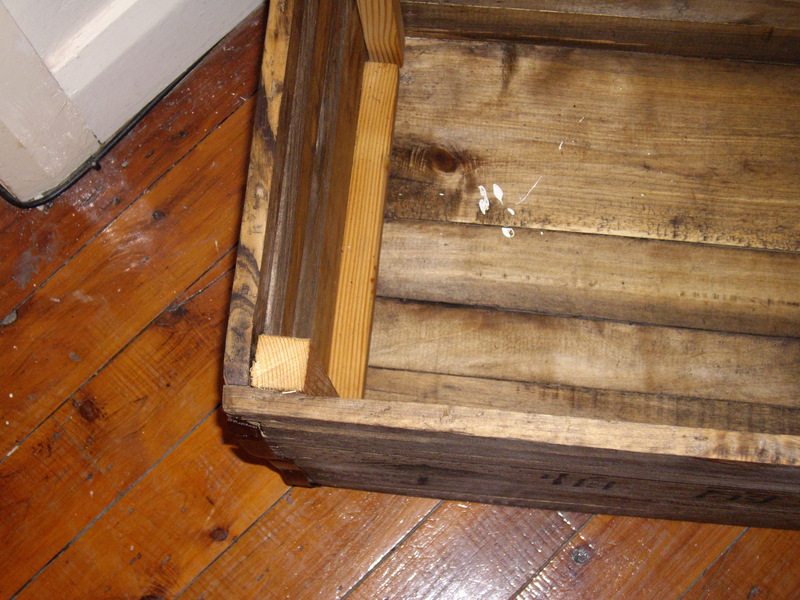 I used (4) 2 cm * 2cm pieces cut to the length of the crate. I then drilled them with some screws through the sides to add some really strong support for my chest. 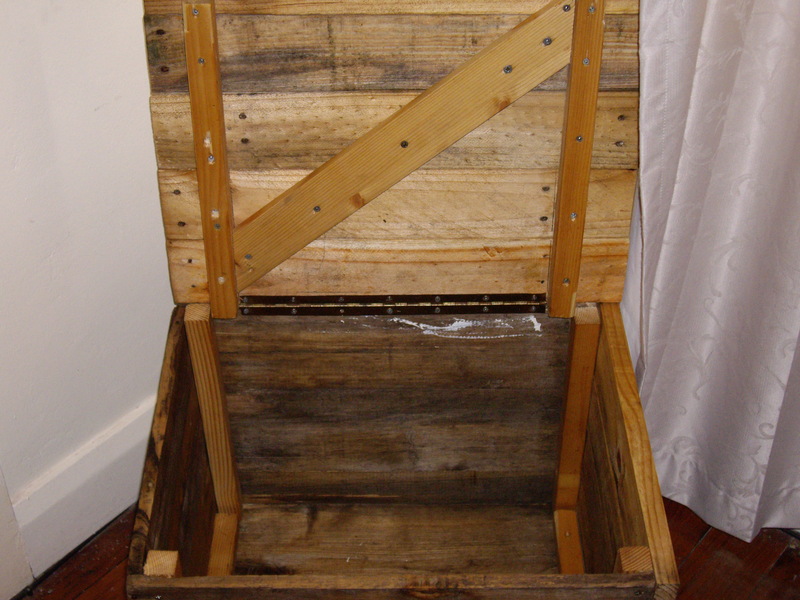 The next step was to was to make a new side of the old crate with some new crate pieces. 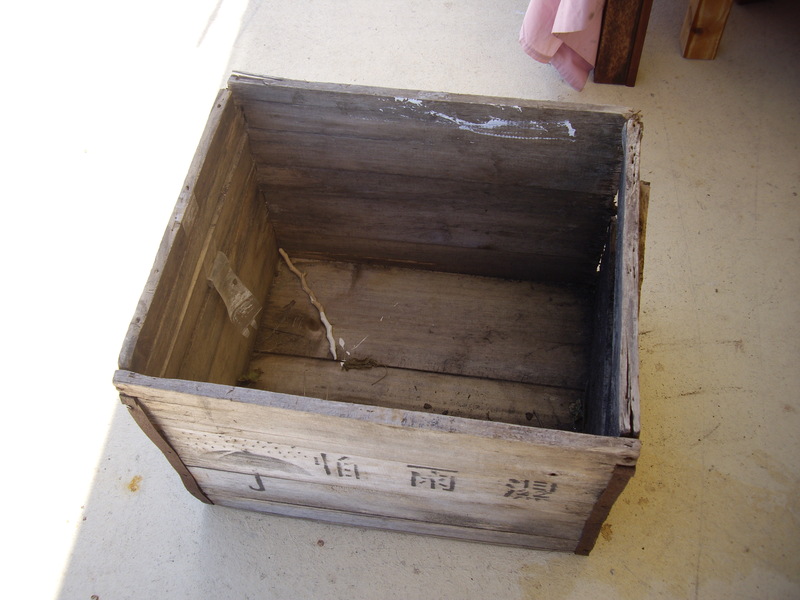 I just found an old crate laying around a construction site. I took it apart and measured the sides. I then screwed from the outside in from the new pieces into the support beams on the inside. 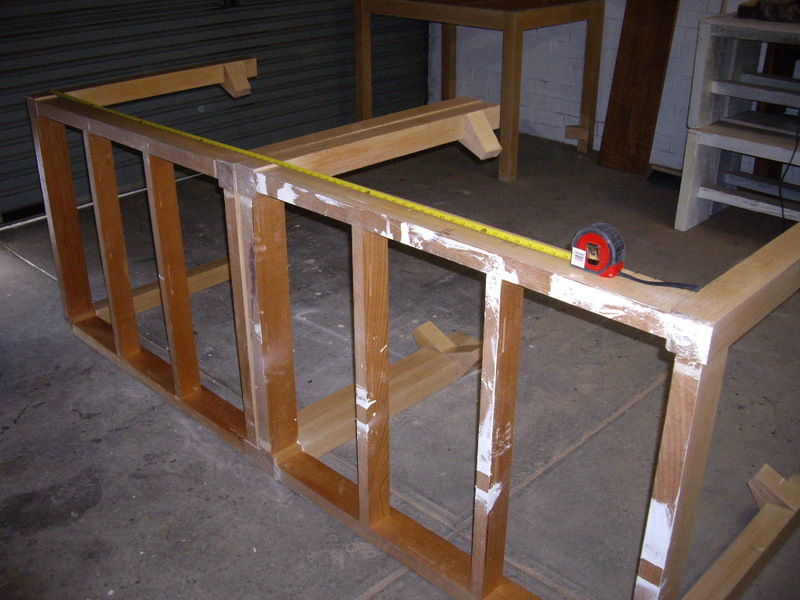 For the top piece I measured two more beams of the same width as the inside supports. I then cut and drilled some more crate pieces to the top and into my supports. I added a beam across and diagonally to prevent the new crate pieces from moving and add more support. I then measured out the wholes for my hinge lengthwise and drilled it into the back and top opening new piece. The final step was really what made the piece come alive. Lind-seed oil. It’s amazing what it can do to old wood. 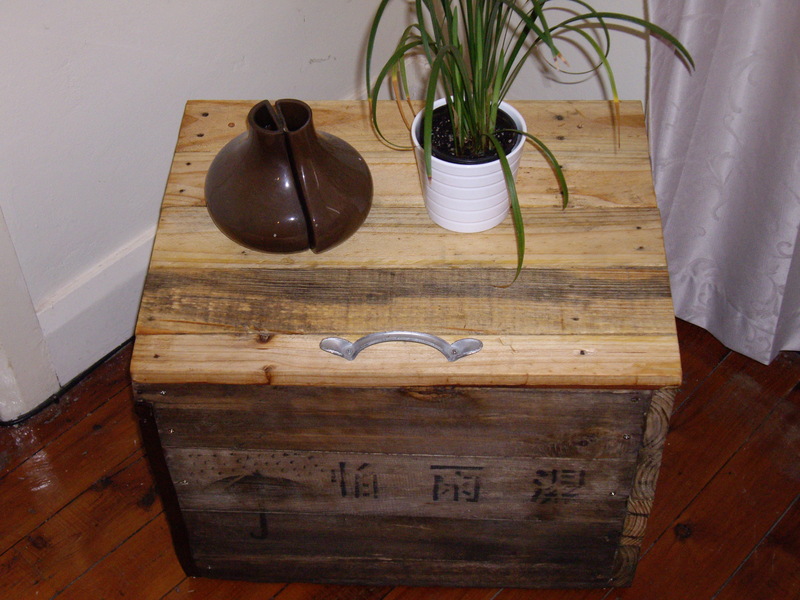 If you want to keep that old rustic feel just get a brush and don’t be afraid. It really brought out the natural oils of the wood and adds protection to the piece. Even with the new crate pieces which i though about staining it brought out some really nice colors. Well it came out great. I snuck it into the living room to see what my wife would say. I had planned on selling it but when she came home she liked it so much that I wasn’t allowed. Oh well. Came out to pretty good i guess.